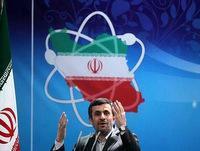 Negotiations on the Iranian nuclear program held on a neutral territory of Kazakhstan gave the first results. For the first time in the history of this issue, Tehran did not delay with determination of the date for the next round of negotiations. It is important that the initiative of prompt meeting came from Iran. And this step is taken, despite the fact that in June, Tehran expects the presidential election, which could be a cover for a reluctance to enter into any agreements in the near future. All these facts prove that Iran is seeking the lifting of sanctions and is ready to meet requirements of the "six". The presence of Iran's uranium and associated conditions for its development do not give rest to the international community. Recently, a group of American scientists published a report stating that by mid-2014 Iran will have enough enriched uranium to produce one or more nuclear bombs. Fuel to the fire was also poured by Iran's statement promulgated on February this year about the discovery of new deposits of uranium, which triples the proven uranium reserves of the country. In addition, in mid-February, Iran announced the installation of new generation centrifuges. They are able to enrich uranium three times faster to a level suitable for the production of nuclear bombs. At the moment, Iran has already fully equipped facility "Fordow" with new centrifuges. Their number is expected to reach 2.7 thousands. So far only 700 of them are in operation, however, when they all will work, Iran will dramatically increase the performance of a nuclear facility. In order to create a powerful nuclear weapon it is necessary to enrich uranium up to 93.5 percent. Experts believe that with the use of advanced centrifuges, Iran can get the uranium enriched to 60 percent for marine nuclear reactors, and the next stage will be highly enriched weapons-grade uranium. In response to the accusations of the "IAEA" and the international community Iran stresses that it enriches uranium only for peaceful purposes. Recall that the previous three rounds of negotiations of the "six" with Russia, the U.S., China, France, the United Kingdom (the five permanent UN Security Council members), and Germany took place in 2012 in Istanbul, Baghdad and Moscow. But no major changes happen on this issue. Opinions of the world's experts on this question were divided into two camps. If one group assumes that each round is completed with small concessions from Tehran, others are convinced that in this game Iran only buys time for the enrichment of uranium. 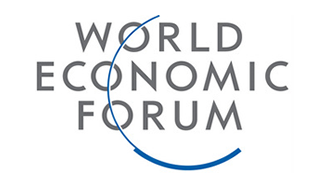 The first issue was raised in the fourth round of talks in Almaty on February 26, 2013. Why it was held on the territory of Kazakhstan - a country that is neither a party nor a mediator in this matter? There are several versions for this question. It is sufficient to point out that this state has a reasonably peaceful policy and committed to resolving all issues by peaceful means, winning the confidence of Iran, geographically located near Kazakhstan. Secondly, the country promotes principles of the use of peaceful nuclear energy and is actively involved in various international projects on the subject. On August 29, 1991 in Almaty it was signed a historic Decree of the President of Kazakhstan Nursultan Nazarbayev on closure of the Semipalatinsk nuclear test site. Moreover, this country has not only refused to fourth nuclear potential arsenal in the world, but at the same time recognized the right of every country to the peaceful use of nuclear energy, but strictly in accordance with the terms and principles of the « IAEA». In addition, Kazakhstan claims to a non-permanent member of the UN Security Council. At the same time, this Central Asian country performed ​​at the Global Nuclear Security Summit in the U.S. on April 2010, with the idea of creation of the International Nuclear Fuel Bank (INFM). It is important the fact that Kazakhstan does not conflict with any country in the world, holds a peace policy and has a peaceful military doctrine. Therefore it is not surprising that after the February 2013, when North Korea conducted a third underground nuclear explosion, the authorities of Kazakhstan have condemned these actions of the North Korean side. Nine months ago in Moscow, the Iranian side proposed five suggestions of cooperation, and before the negotiations in Almaty "Six" was to consider these proposals. During the press conference, Secretary of the Supreme Council of National Security Saeed Jalili noted with satisfaction that countries of "six" came to the development of the proposals, taking into account the remarks that were announced by Iran in the past three rounds. In turn, the countries of the "six" offered to shoot a number of sanctions against Iran, in exchange for a reduction in the enrichment of uranium to a level of 20 percent at an underground factory in the "Fordow". Here the country of "six" made ​​some concessions, as they had previously insisted on a complete cessation of work in the area. In turn, Tehran proved the necessity of 20 percent enriched fuel in connection with its use for medical purposes. Easing of sanctions will cover trade in gold and other precious metals. Recall that earlier European Union countries introduced an embargo on imports of Iranian oil, which came into force on 1 July 2012. These actions of the EU were explained by the fact that they wanted to force Tehran to abandon its nuclear ambitions. The same package of measures against Iran previously was conducted by Washington at the beginning of this year, with the introduction of the sanctions aimed at reducing the income of the republic from oil sales. Some experts tend to believe that if the above measures will lead Iran's economy to a standstill, this country could launch military action in the Strait of Hormuz, which, in fact, is a trade artery for the Gulf countries and in general for the Middle East. It passes through 40 percent of the world oil traffic. And then it will be a boost for the whole of Western Europe. It is important that right after the completion of negotiations in Almaty, Saeed Jalili said that the next round of negotiations of the parties is agreed to be held in Istanbul on 18 and 19 March, and then again will return to Almaty on 5 and 6 April 2013. Moreover, the initiative of early resumption of the talks came from Iran. Recall that earlier intervals between negotiations were much longer. Parties had never administered the next meeting so close to the date. This suggests that Iran is seeking the lifting of sanctions, and ready to meet the requirements of the "six". According to the U.S. Secretary of State, John Kerry, a meeting in Kazakhstan was "productive". Replying to journalists in Paris, he said that if Iran goes to serious talks, it can lead to a lasting solution to the dispute over its nuclear program. Executive director of Association on arms control Daryl Kimball surprised that Iran is ready to continue negotiations in connection with the fact that presidential elections in Iran must be held on June. "So many of us were surprised that they agreed to a new round of negotiations, because there are many good political reasons why they could simply refuse to enter into any agreement in the near future", - he said. For his part, the Assistant of Foreign Minister of China Ma Chzhaosyuyv in an interview with Chinese media also said that after talks in Almaty it was taken the first step toward the start of real talks on the Iranian nuclear issue, which will benefit the solution of this problem through dialogue and negotiations.